Location: Burqa town / Nablus governorate. 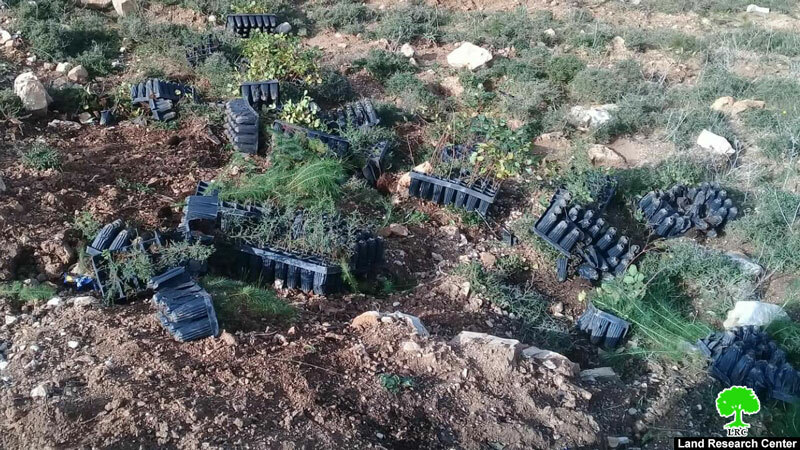 Saturday, January 12, a group of fanatic settlers of “Homesh” evicted sabotaged 20 boxes of forests seedlings. 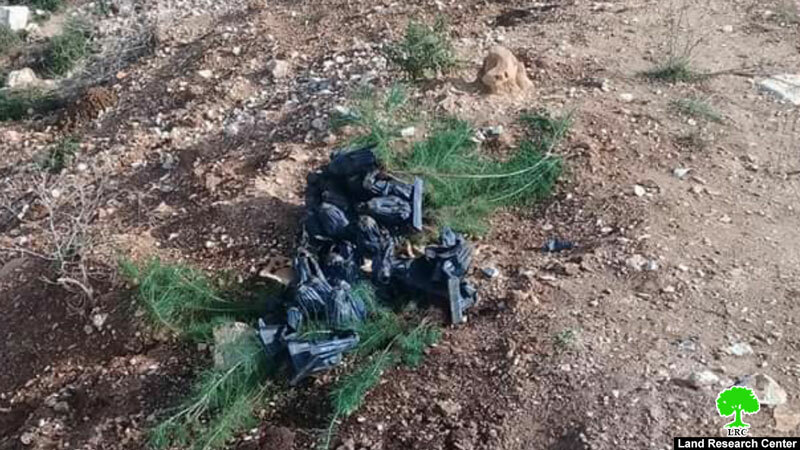 Armed settlers were seen having their faces covered and sabotaging the seedlings in As-Suqoor area. 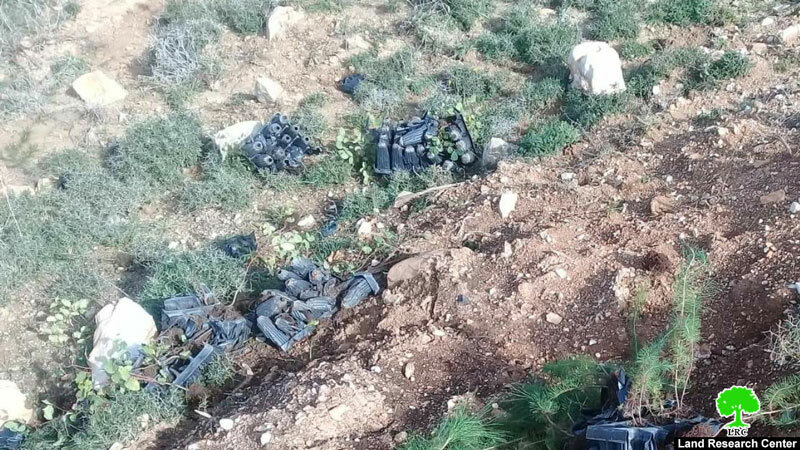 “A group of armed and masked Israeli illegal settlers attacked number of citizens from Burqa while they were in their land, the citizens had to leave the area to protect themselves, and while they were leaving they saw settlers sabotaging 20 boxes of forests seedlings containing 600 seedlings. The boxes were placed by the village’s rural council workers to be cultivated in the next day in As-Suqoor forest.”. 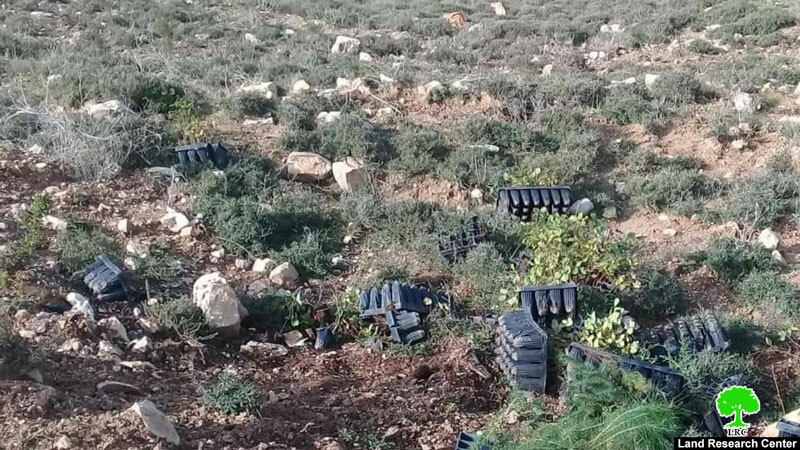 Fawzi Abu Gaish The responsible of forests department in the directorate of agriculture in Nablus said that Burqa village council received 40 boxes each one contains 30 forests seedlings, then he was informed that 20 boxes were sabotaged. 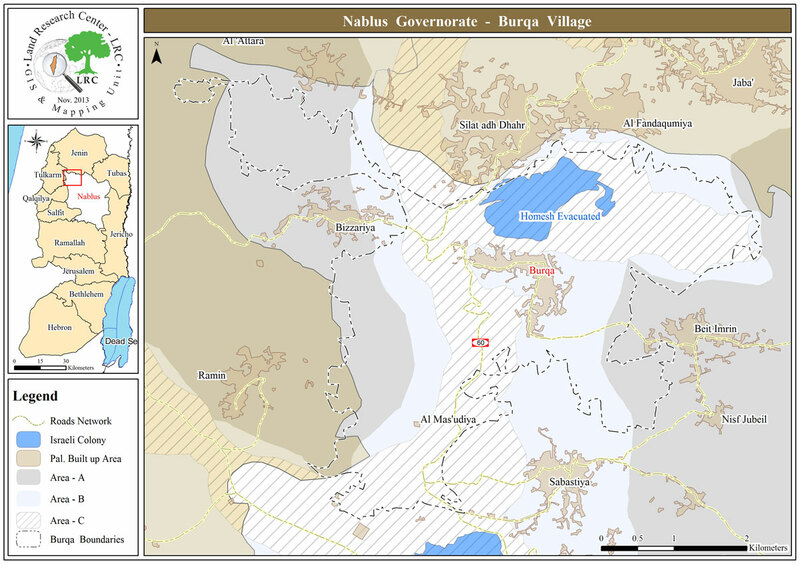 12 km north Nablus city, Burqa is surrounded by the Israeli illegal colony “Homesh” (north), Ramin and Al-Masa’adeyeh villages (west) , Beit Amrin (east) and Sabastiya (south). Burqa has a population of (4152) people in 2017. Burqa has a total space of 18174 dunums, 506 of them are the town’s built-up area. The Israeli occupation confiscated (1047) dunums from Burqa’s lands to establish “Homesh” settlement in 1980, the Israeli government claim that “Homesh” is evicted but that is not the truth,the settlement is inhabited by radical settlers who implemented several attacks against villagers of Burqa. C area : (8247) dunums.